Eliminate the limitation of placing an (802.3af) PoE-enabled device, such as a Wireless Access Point or IP Camera near a power outlet. The EPE-5818Gaf delivers both data and electrical power to PoE-enabled devices using a single Ethernet CAT6 cable. 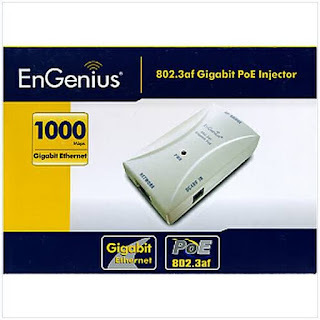 EPE-5818Gaf PoE injector is 802.3af compliant, and also features two Gigabit Ethernet (10/100/1000 Mbps) ports - one port for a connection to an Ethernet switch and the other for connection to a PoE-enabled device. It uses standard IEEE pin definition to power the device, and comes with a 48V/0.375A power supply. Pin# 1, 2, 3 and 6 for data transmission; pin# 4, 5, 7 and 8 for power to the device. The EPE-5818Gaf PoE generates power over CAT6 cable up to 300 feet (100 meter). By sending 48V, Ethernet terminals such as Wireless LAN Access Points, IP Phones and IP Cameras can be powered more remotely from an Ethernet switch. The PE-5818Gaf is especially useful for outdoor networking deployments and low port density installations. Includes two Gigabit ports; one port for a connection to an Ethernet switch and the other for connection to a PoE-enabled device. 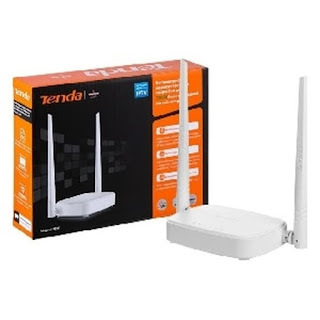 For connecting to a wide variety of devices. 48V Power to 802.3af Devices over CAT6 Cabling.